The International Owl Center is open in our temporary home, the historic Houston Mercantile/Skifton Building, located at 126 East Cedar Street in Houston, Minnesota. From the east or west, take Highway 16 to Houston. The Owl Center is located one block east of the main intersection of Highways 16 and 76 in Houston, across the street from the Houston Public Library. From the north, take I-90 to Highway 76 south; continue south 14 miles, then turn left (east) onto Highway 16/76, which is Cedar Street. From the south, take Highway 76 north and into Houston. The Owl Center is located on the corner of Cedar and Sherman Streets. The goal of the Owl Center is to educate, inspire and empower people. We have lots of static and interactive displays where people can learn more about these fantastic feathered creatures and what you can do to help them. ​Owls are in style! The International Owl Center gift shop offers a wide selection of owl jewelry and plush owls, plus an assortment of owl-themed mugs, kitchen items, magnets, cards, purses, puzzles, books, shirts, and more. Several items are locally made or Fair Trade. Members receive a 10% discount on all gift shop purchases. Houston's Natural Playground is anything but a traditional playground—and kids love it. 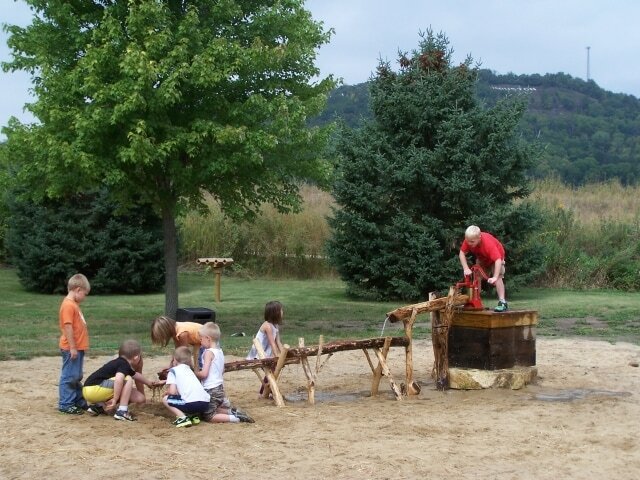 It was designed by the Natural Playground Company specifically for our site. Construction began in 2012, with ribbon cutting in 2013. 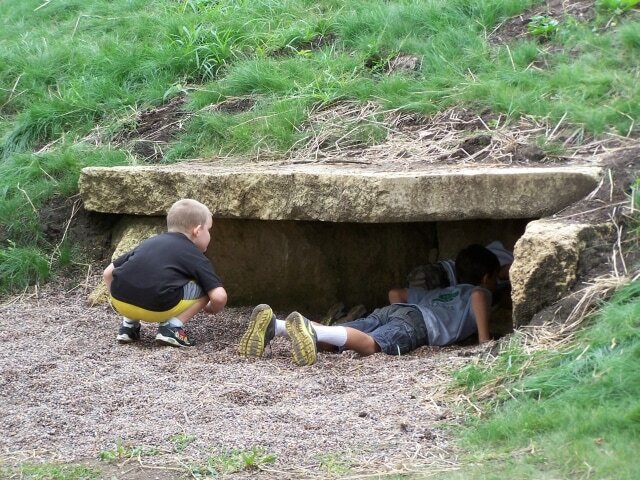 Children can hide in the stone caves, crawl through a tunnel made of Oneota dolomite slabs, climb boulders in the enormous sand play area or on the side of the ten-foot tall hill. They can pump water down a sluice, scale a wooden climbing wall, walk a labyrinth, tell time using their shadow, go down a slide set into the side of the hill, or get into an over-sized nest with a four foot tall owl. The entire playground is a full acre in size, so can easily accommodate school classes, daycare, and other large groups. 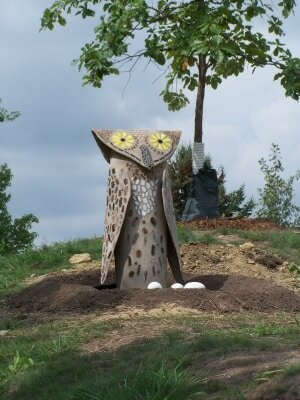 There are plenty of other things to in the area before or after you visit the Owl Center. Check out the Houston Area Chamber of Commerce website for details.